Regardless of your personal situation – whether you’re renting, a home owner, living alone or with others or your family – home security is important. While ensuring residential security systems are firing on all cylinders works to your benefit, we’ve put together five simple tips that often slip people’s minds. These days, most people won’t think about any tricks like hiding keys under the front door mat or in the letterbox. So many people don’t realise that lending keys to tradespeople or other acquaintances for whatever reason is risky business. It’s fairly easy to copy a set of keys, which provides easy access to your home when you’re not there. You can have the best residential security systems at play but if anyone can get into your house effortlessly with keys, it’s unlikely to make much difference. It sounds very 007 (as in, James Bond) but if you’ve got valuables such as jewellery or even any items you consider priceless, protect yourself by getting a safe. While pricing does vary according to different brands and features, installing a safe provides you with peace of mind in the unfortunate event that your home is broken into. While they’re not impossible to break into, having a safe does make life harder for potential burglars. Going one step further, if you’ve got items such as expensive jewellery that you’re using rarely, they’re best kept in a Bank Safe Deposit. As for large amounts of cash, they should never be kept in any house/property – head off to the bank to store cash securely. Again, you can have the best residential security systems in place but if they’re not working, your home is vulnerable. At National Electronic Security, we always recommend back to base monitoring systems for homes because they don’t leave anything to chance and they’re very cost-effective. They also automatically test on a weekly basis for domestic properties. Keep in mind that any alarm system relying on old Telstra phone lines will no longer work once the NBN is installed in your area. We’ve been informing customers of the pressing need to update their alarms since the NBN’s introduction but we still find that many people aren’t aware that due to the NBN, their alarm no longer works. You can learn more about what you can do if you find yourself in this situation here. It’s important to note that our new NBN ready Permaconn alarms test daily, which is ideal. Locks come in many different shapes and sizes. There are locks for windows, locks for doors and so on. 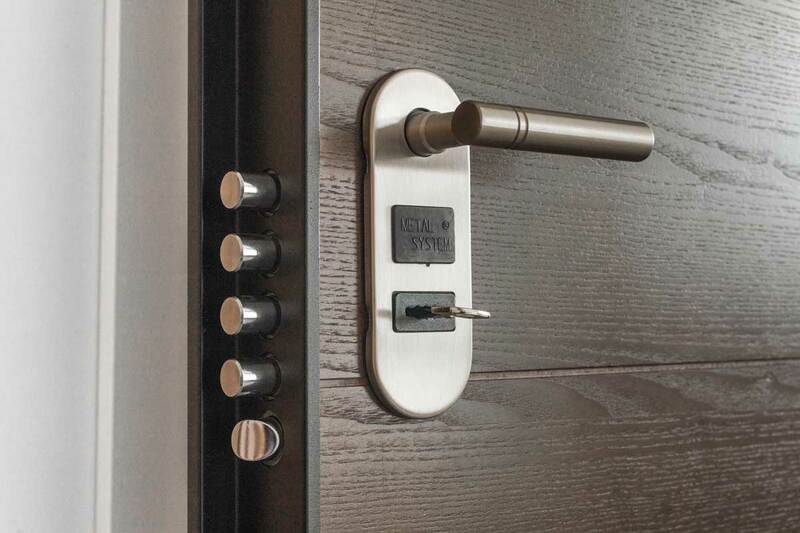 With a deadlock, you’ll need to physically lock it each time with a key unlike a deadlatch, which automatically locks when closed (great for anyone who happens to be a little forgetful as they rush out the door). If your property isn’t new (so if people have owned the home/property before or you’re renting), it’s wise to switch the locks over. After all, you never know who has a set of the keys or how many copies were made originally. You don’t want to rely on your neighbours when it comes to residential security but getting to know your neighbours can help to keep your property safe. If something isn’t quite right, they may notice something before residential security systems are triggered. We’ve all heard about those tight-knit communities where people have one another’s back – the harder you make it for potential burglars, the better. We’ve said it before and we’ll say it again: we always recommend back to base monitoring systems for homes but the above tips provide you with added peace of mind and they’re all pretty simple to practice and put into place. Need a home security upgrade? Contact the National Electronic Security team today on 1800 300 870 to have a discussion about your unique security requirements.